As Mamba Day approaches so will player signature shoes that honor Kobe Bryant. Paul George looks to add his take with the Nike PG3 Mamba Mentality. Paul George has been on a steady grind when it comes to his signature sneakers. He has had various models do extremely well with collaborations that have gained them a lot of hype. 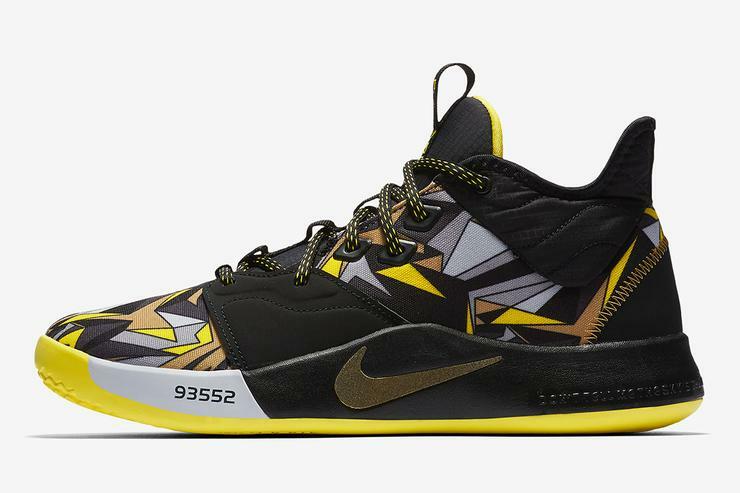 Now as he moves on to his third iteration, the Nike PG3, the NBA superstar dedicates one edition to his former role model Kobe Bryant in celebration of Mamba Day 2019. Last week we saw Kyrie Irving’s nod to Bryant with his Kyrie 5 “Mamba Mentality”, and now official images have emerged of Paul Georges’. 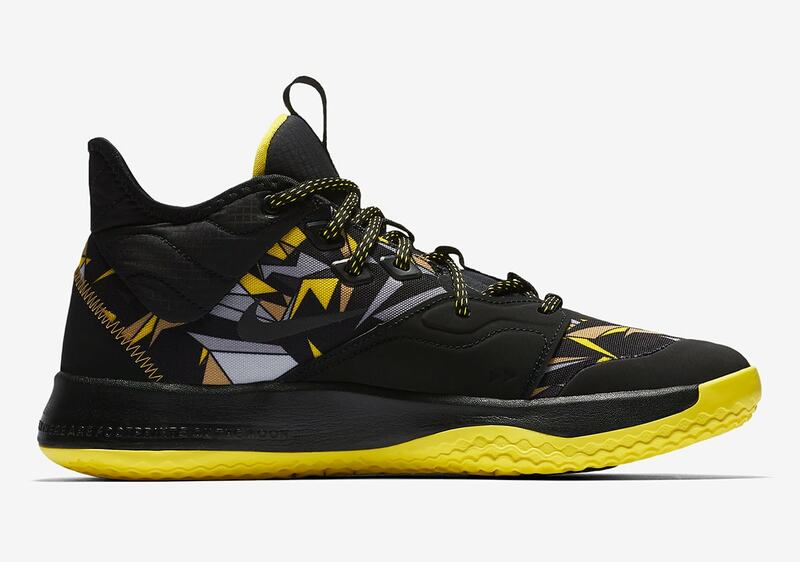 Sitting on top of the Nike PG3, black and yellow take over the entire sneaker. The upper contains a wide arrange of different colors like black, white, grey, tan and yellow that fill in a geometrical pattern that covers most of the shoe. Then, black overlays on the midfoot and heel contrast those bright colors rather well. 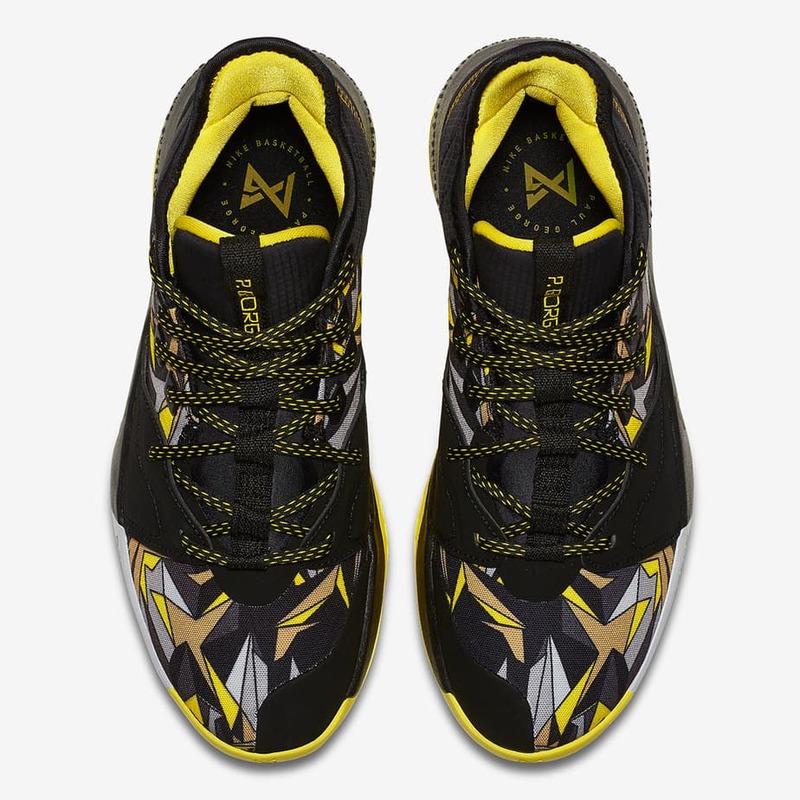 Keeping the same color blocking, the tongue comes in all black and is accompanied by black and yellow braided laces. 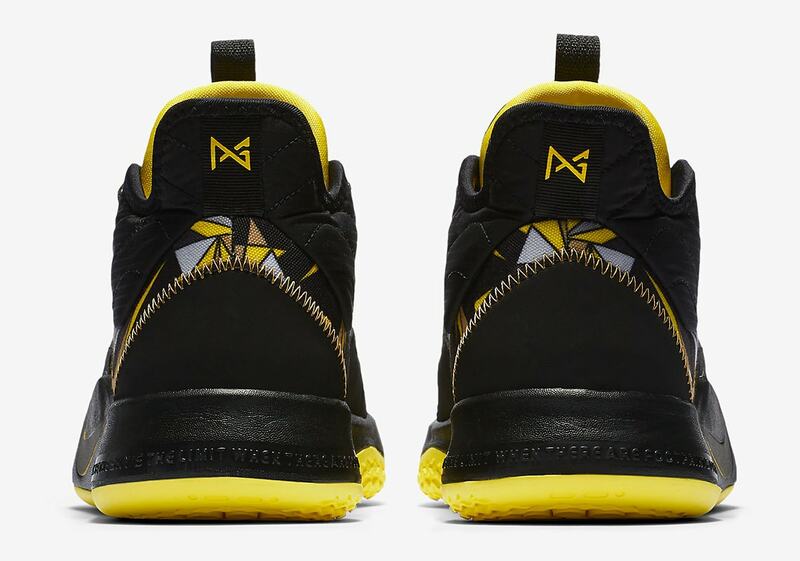 Branding is then found towards the bottom as a large gold Nike Swoosh is painted on the black and white midsole that also houses the number “93552”, the zip code of Paul George’s birthplace, Palmdale California. 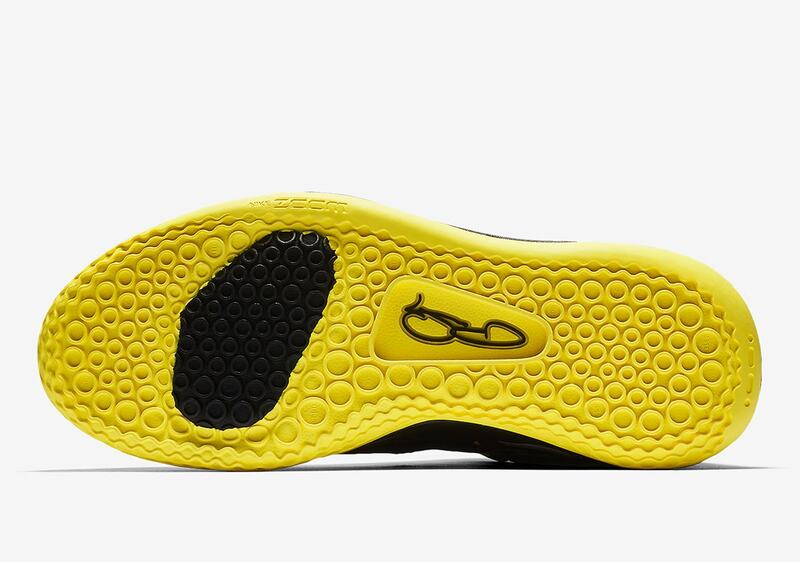 Finishing off the aesthetic, the outsole is covered in a bright yellow. The shoes drop directly on Mamba Day this year with a release date of April 13th, 2019. They will become available at select Nike retailers and Nike.com for a retail price tag of $110. Check out more images below and stay tuned to JustFreshKicks for updates. The post Official Images Surface of the Nike PG3 “Mamba Mentality” appeared first on JustFreshKicks.